It always seems like Kate and I go through long stretches where we don’t do any guest spots on other podcasts, then by coincidence we do a whole batch of guests appearances, and then another long dry spell. And I keep that trend alive by being on two Internet series in quick enough succession that I can put both of them in the same post. My first guest appearance was a follow-up to my November appearance on the OSMcast!. 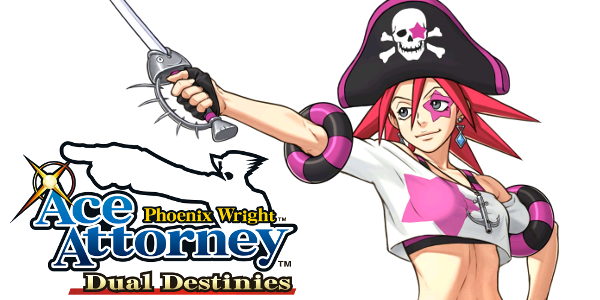 I was on the podcast JUST before the DLC case for Phoenix Wright: Ace Attorney – Dual Destinies, called Turnabout Reclaimed, was released in English. So we agreed to record this supplemental podcast after we both played through the new case to give a complete overview of the game. This time we were also joined by Mark from The Oriental Cartoon Show podcast who could not make the first podcast. We don’t make TOO many fish related puns. I promise. My second appearance was on the Shinjuku Station live video stream with Soul Bro Ryu who most people will recognize as a member of the Gundamn! Podcast. He was doing an introductory lesson on how to do your own video streaming program as well as answering any questions people might have about such a project. Sadly Soul Bro usually starts the video streams at night and therefore me having to wake up at 4am for work prevents me from attending their regularly scheduled shows. (I mean they used to live watch Jojo’s Bizarre Adventure so you know I wanted to attend.) But since I can catch up on some sleep on New Year’s day I decided to stay up at participate a bit before I went to bed. Now you too can be a Let’s Play superstar! Video Streaming Q&A with @SoulBroRyu!